$15 with room key to all other Caesar's guests. Savings at Flamingo with the Semi Annual sale of the year! 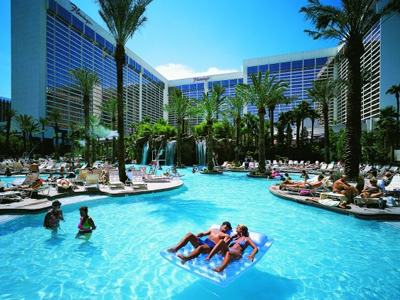 Rates starting at just $35/night before taxes and fees when you book online. 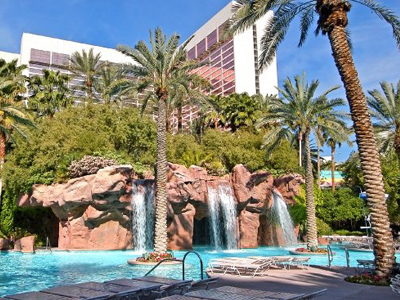 Caesars entertainment resorts has it's Anthology Suites on sale at up to 35% OFF! Travel Dates available through December. 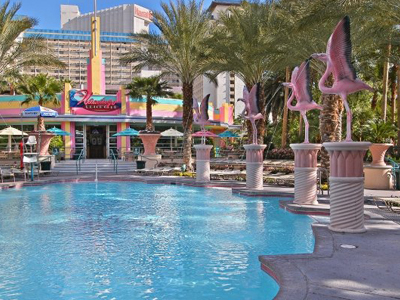 The exciting party action at the Go Pool at the Flamingo is for adults only and the high energy music keeps the party atmosphere going all day long. The lagoons, waterfalls and waterslides make this party spot a place to remember. 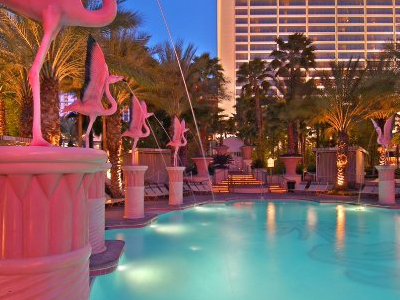 The Go Pool at the Flamingo is the adult pool with all the exciting party action. 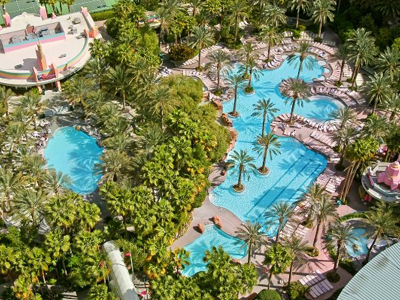 This huge tropical paradise is the perfect spot to take in the wonderful desert sun and sip a frozen cocktail. The DJ keeps the party alive with great music and the lagoons, waterfalls, and waterslides keep the excitement going. There are beautifully-appointed cabanas with chaise lounges, a plasma TV, a refrigerator and a ceiling fan. They are equipped with iced towels, a lock box, bottled water and a complimentary bottle of liquor with mixers and fresh fruit platter. European sunbathing is permitted. The impeccable personalized service is what makes this VIP treatment so outstanding. Love this adults only pool. My husband and I had a great time! Its so fun and has a great vibe here. Loved the pool itself as well. Best spot is under the waterfall. Good vibe and love the scene. Headed back here for more. Crazy party everyday! Always feel like I’m on MTV spring break!